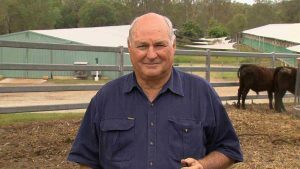 Australian Chicken Farms – How Are Meat Chickens Farmed? Ever wondered what a meat chicken farm looks like? Or what a meat chicken farmer’s day to day activities are? If so, take a look at our new video below which takes you for a visit to an Australian meat chicken farm, led by the farmers themselves. Also take a look at the second video, in which the farmers take you through what’s involved in running their chicken farm on a daily basis. It is the people in the industry with their dedication, experience, professional approach and drive, which make the Australian chicken meat industry what it is today – a highly efficient and sustainable agricultural endeavour providing the main ingredient to millions of meals every day of the year. Here you are able to meet a handful of these people. They are keen to share their views and experience with you. We hope that listening to some of these short video clips will give you a better appreciation of their commitment to looking after their chickens and to producing top quality chicken meat which is healthy, nutritious and affordable for all. 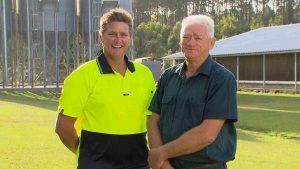 Barry and Damian own and operate a large conventional meat chicken farm just north of Brisbane. John owns his own farm and has grown meat chickens for over 33 years. Kelly works as a broiler (meat chicken) service person for a large processing company, overseeing and assisting dozens of chicken farmers to achieve optimal outcomes. 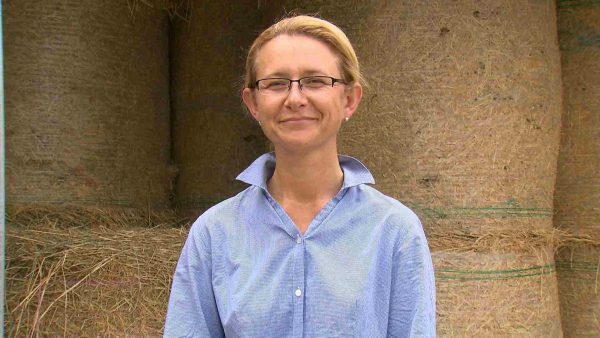 Shona is the farm manager of a free range farm in SE Queensland. Barry and Damian own and operate a large conventional meat chicken farm consisting of eight chicken sheds. They have been in the industry for 18 and 15 years respectively and are justly proud of what they have achieved. Barry and Damian are a father and son team of meat chicken growers. Here Barry explains how he got involved in the industry some 18 years ago, points out what he finds appealing and how the industry has changed over time. He stresses the primary importance of good stockmanship despite the technological advances available to help farmers. Damian tells us how he got into the industry and why he likes his job as farm manager of a conventional modern meat chicken farming complex comprising eight sheds. He also dispels the enduring myth regarding the use of hormones and Barry points out that the belief held by many consumers that meat chickens are raised in cages is also nothing but a myth. John owns a free range meat chicken farm in SE Queensland. He has been farming for over 33 years and cares deeply about his chickens and his Angus cattle. John has owned and operated a meat chicken farm for 33 years. Here John talks about free range farming of chickens, pointing out its attraction as well as its challenges. The role of external audits in certified free range farming of meat chickens is emphasised by John in this short contribution. John points out some interesting observations regarding the chickens’ behaviour on the open range. The two predominant myths regarding meat chickens, i.e. the use of hormones and of cages, are dispelled by John in this video clip. Kelly is the link between the processing company (who owns the chickens) and the chicken farmers (who raise the meat chickens). 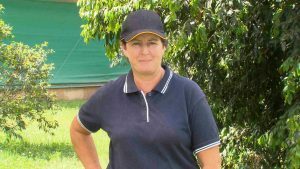 As Broiler (meat chicken) Service Person for Inghams Enterprises Pty Limited, she is dealing with some 62 farms, both conventional and free range, assisting them in optimising their farming operation. 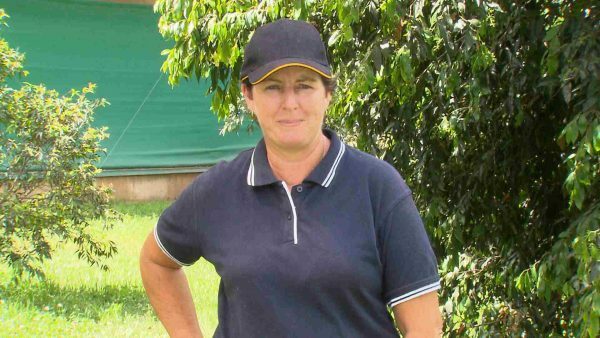 Kelly is the service person employed by a large processing company, Inghams Enterprises Pty Limited, to oversee, assist and advice Inghams’ chicken farmers in South East Queensland. She talks about what her role is, how she got into the industry and what she likes about her job. Shona is the manager of a free range farm. She loves animals and enjoys looking after the thousands of chickens as well as cattle, horses and much more. Shona is the farm manager of a free range meat chicken farm in SE Queensland. Having been in the job for 6 years, she tells us how she got into it and what she likes about it. Shona explains the daily routine of a farm manager in charge of a free range chicken farm. Shona talks about what is important to being a good stockperson, what are the main aims, including the welfare of the birds which is in her view of utmost importance. Shona also talks about the importance of keeping accurate records of all aspects of the farming operation.